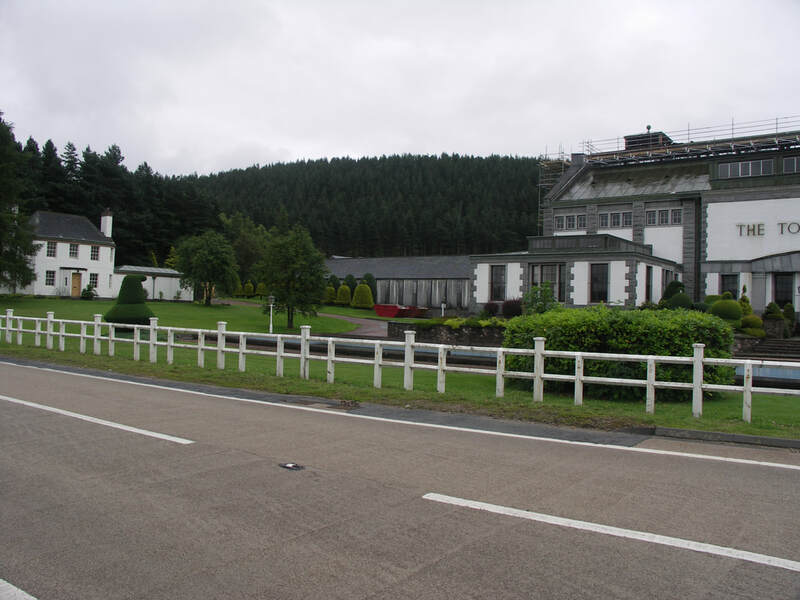 Gaelic 'torra mhòir'' - "big hill"
The basic website has description of the distillery and its range of whiskies - and nutritional information about the whiskies. Tormore is not open to the public. 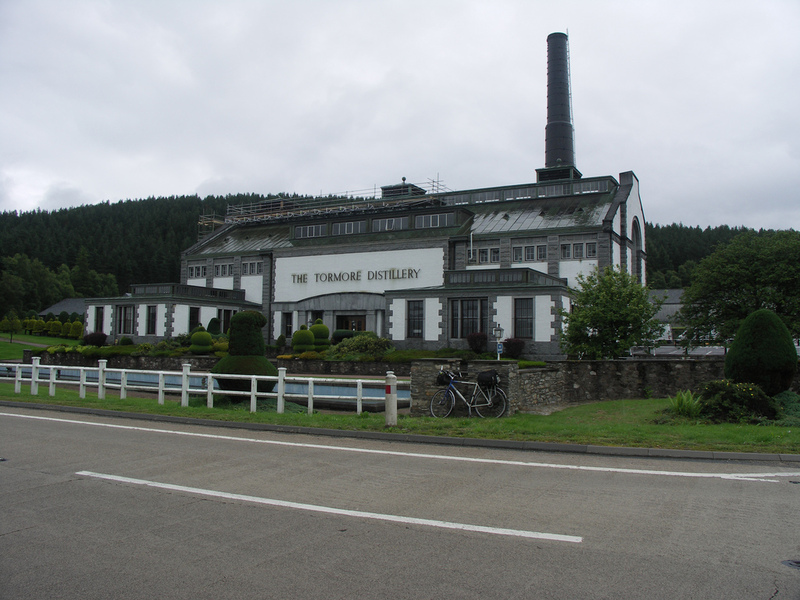 Tormore was the first all original distillery built in the Highlands in the 20th century, and was designed with some style, rather than the basic functionality that characterises most subsequent builds. All the stills are fitted with purifiers. 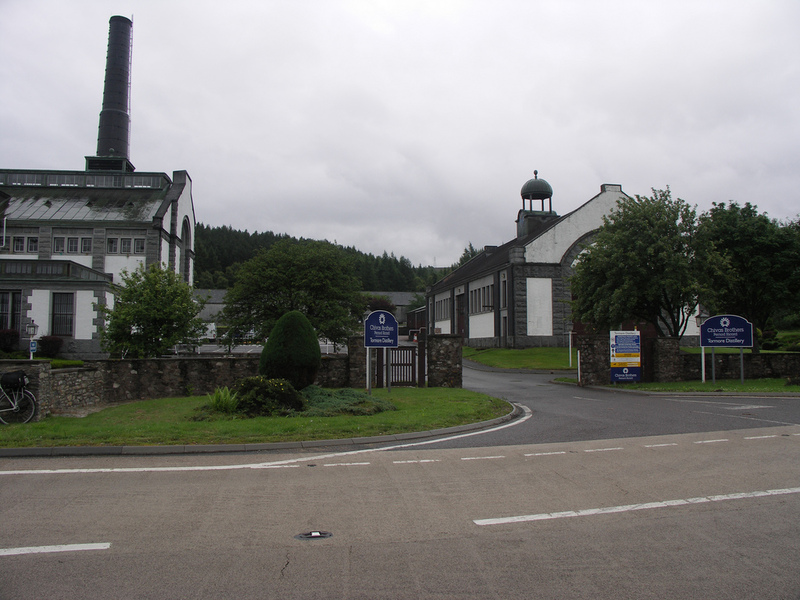 After all the effort that went into building the distillery, it's a pity it has no visitor centre, and produces a rather ordinary malt. 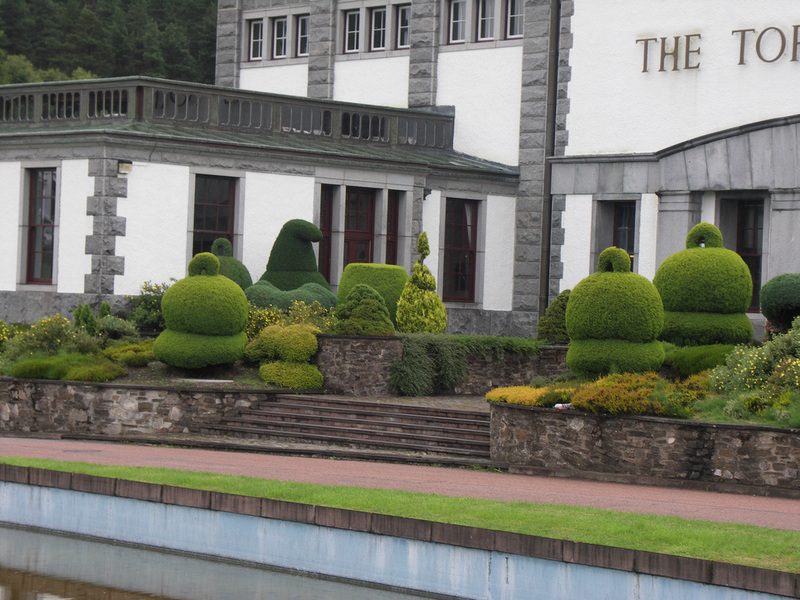 Apparently the ponds at the distillery were planned to enable their use for curling in the winter - but the heat generated by the distillery means they have never frozen! A time capsule in the shape of a pot still is buried in the forecourt - which is to be opened in 2060 - it includes a large bottle of Long John. The clock plays a different Scottish song every 15 minutes. Broomhill station on the Strathspey Railway is 15 miles away. Nearest National Rail stations are Aviemore (AVM) (26 miles), Carrbridge (CAG) (21), Elgin (ELG) (25), Forres (FOR) (25), Keith (KEH) (24). Live train times: AVM, CAG, ELG, FOR, KEH. On the A95 between Advie and Bridge of Avon - you can't miss it! 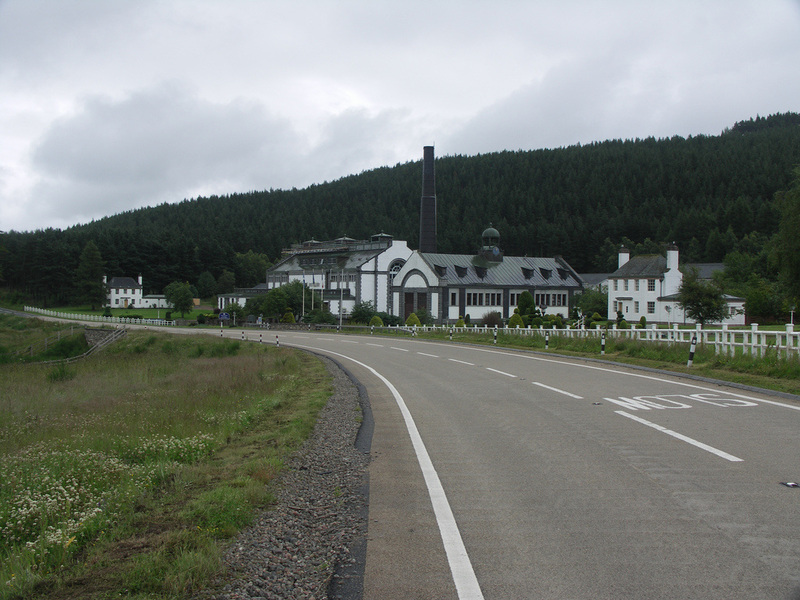 The Speyside way isn't far away either - it crosses the main road a few hundred yards from the distillery. 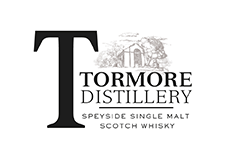 Tormore's only official bottling fora long time was the widely available 12yo at 40%, though the previous owners, Allied, bottled at 10yo and also the occasional 15yo and 5yo bottlings, which are now extremely rare. Most of the spirit ends up in blends - particularly Long John and Ballantines. A few independent bottlings are available. Photos on this page were taken by me. Click on photo to enlarge. 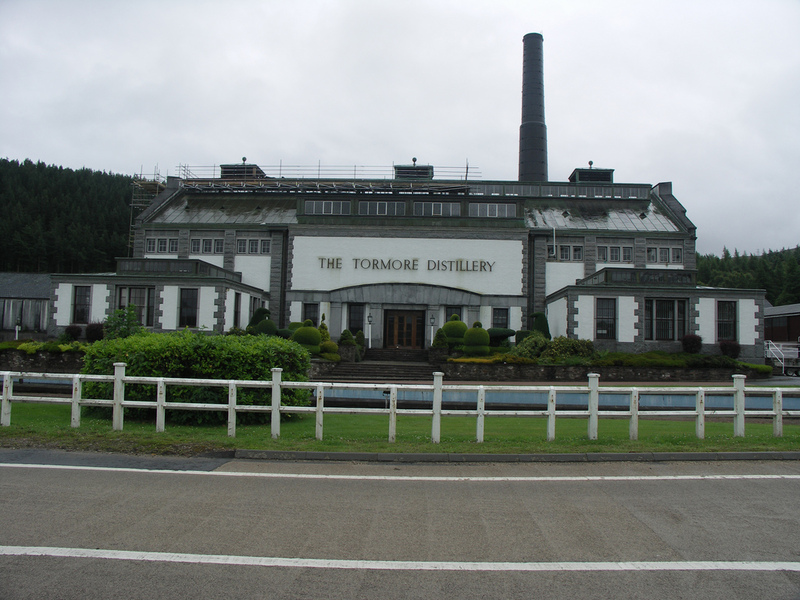 Full size versions of all my photos of Tormore Distillery are available on Flickr.